Death Of The Author & The Work of Art in the Age of Mechanical Reproduction. Music Scenes, Online Space and Place. Purchasing and Consuming music in the Future. Velma Grove @ SYN Studios. Independent Music, Online and Off. 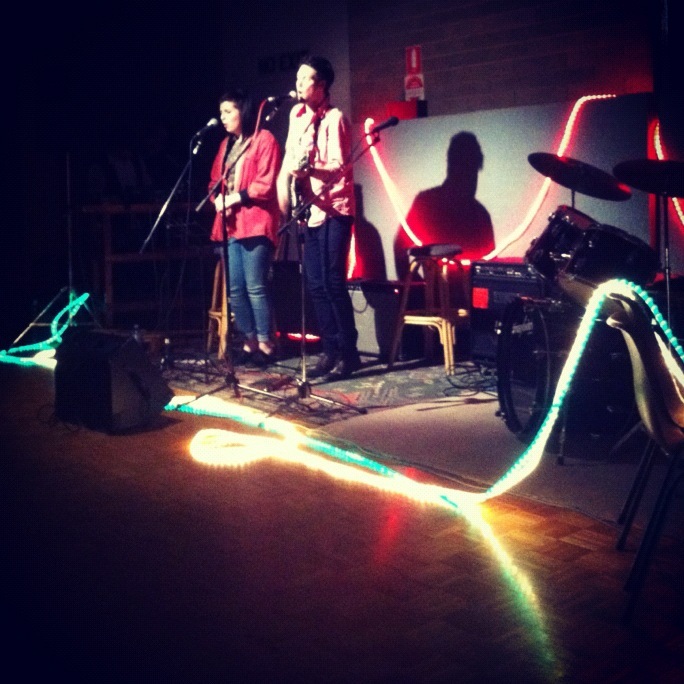 Last Wednesday night I played at an open mic night in Balnarring. It had such a cool atmosphere. You had to donate $5 to get in, write your name on a list and then when it was your turn you just went up and played two songs. I played my original and a cover of ‘I don’t mind’ by Defeater. I then called Bj up to the stage and we did a cover of Lonely Boy by the black Keys. This was my favourite part of the evening because when we got to the first chorus, someone on drums, bass, guitar and harmonica had jumped on the stage and started jamming with us. It was all so chilled, I will definitely go back! It’s on every second Wednesday night at the Town Hall in Balnarring. It seems to be run just by the local muso’s and they had a cute little set up with Fairly lights lighting up the stage. I’ve been loving this lately!